A few years ago I bought garlic scapes from a small produce market in Chinatown in Victoria, but I didn’t know what they were other than that they tasted delicious. Last year was my first year receiving delicious organic veggies delivered to our house from Makaria Farm in Duncan and that is how I became better acquainted with these goodies. Where I live on Vancouver Island, June is prime garlic scape season. 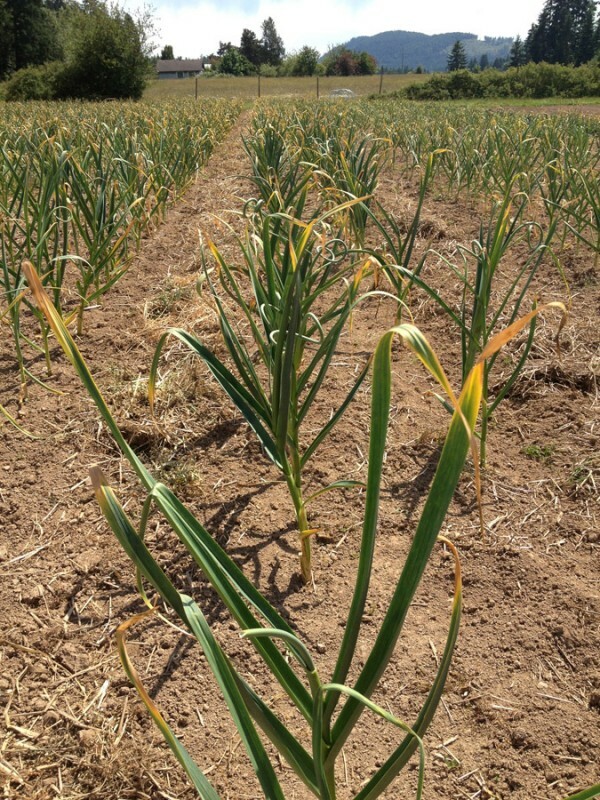 Farmers markets are a great place to find garlic scapes. They have a short window in the market place but they do last for weeks if you store them in a bag or container in the fridge. They also freeze well, even without blanching. 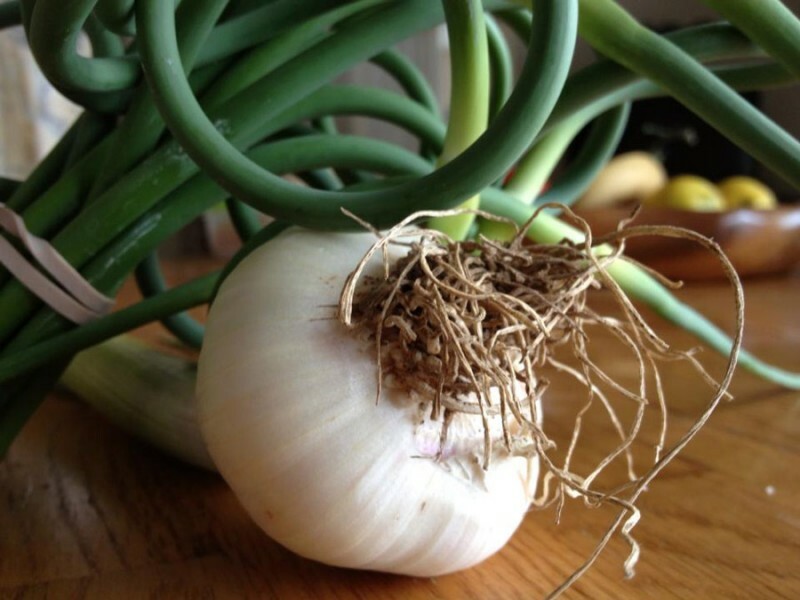 Here is a simple recipe for scapes and chard, which are usually both available at the same time. Other recipe ideas follow below. 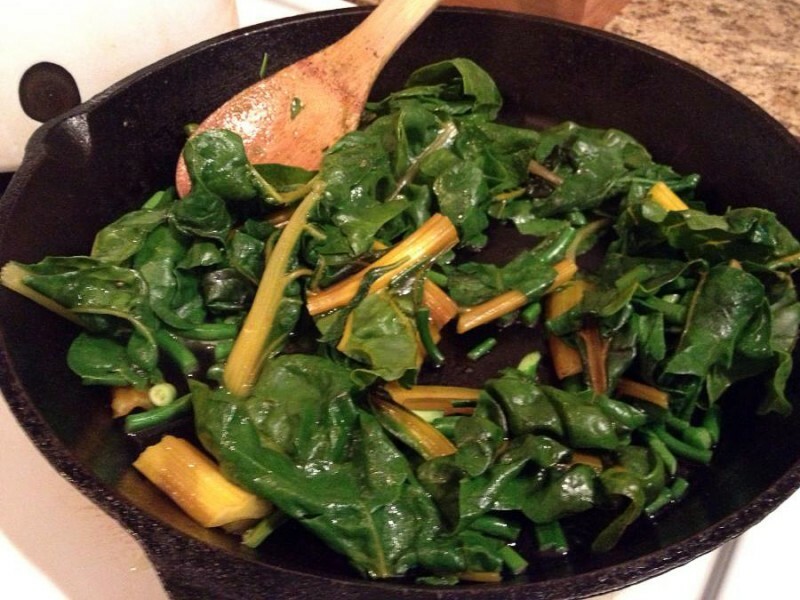 Add all ingredients to pan and sautée a couple minutes, until chard starts to wilt and scapes turn bright green. If desired squeeze some lemon juice on top. Garlic Scape Pesto: In food processor mix a bunch of garlic scapes, 1/2 cup your favourite nuts (pine nuts, cashews, almonds or sunflower seeds work well), 1/2 cup olive oil, fresh basil leaves if you like, a couple squeezes of lemon juice, salt to taste, some grated parmesan if you have it. Use the pesto as a sauce for pasta salad, or instead of tomato sauce on pizza. You can also freeze meal-size batches. Add some kale or spinach to extend and add nutrients. Add garlic scapes to any stir fry. 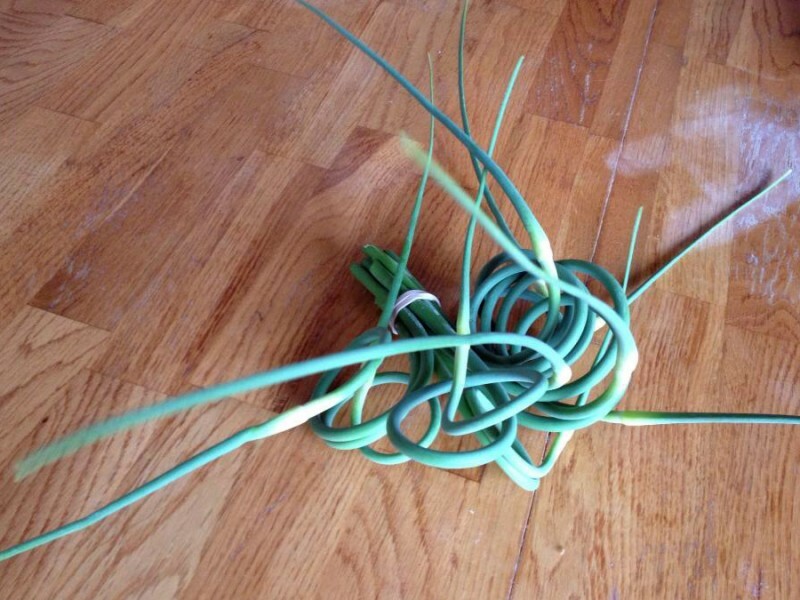 Dice garlic scapes and add to soups or spaghetti sauces. Sautée chopped scapes with spinach and other greens to make a more flavourful spanakopita (this is what I did with scapes my brother brought over this year). Chop scapes finely and use as a topping for baked potatoes, or stir into mashed potatoes. 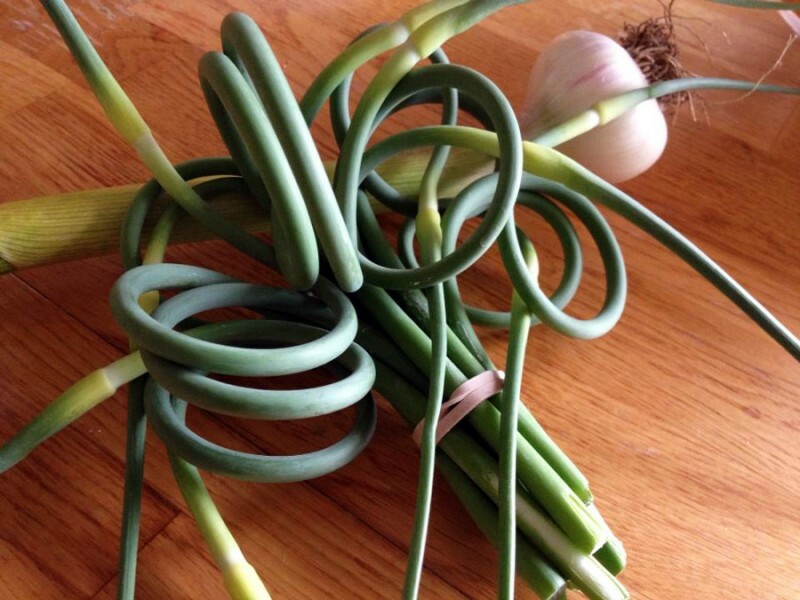 You can even make jelly from garlic scapes! 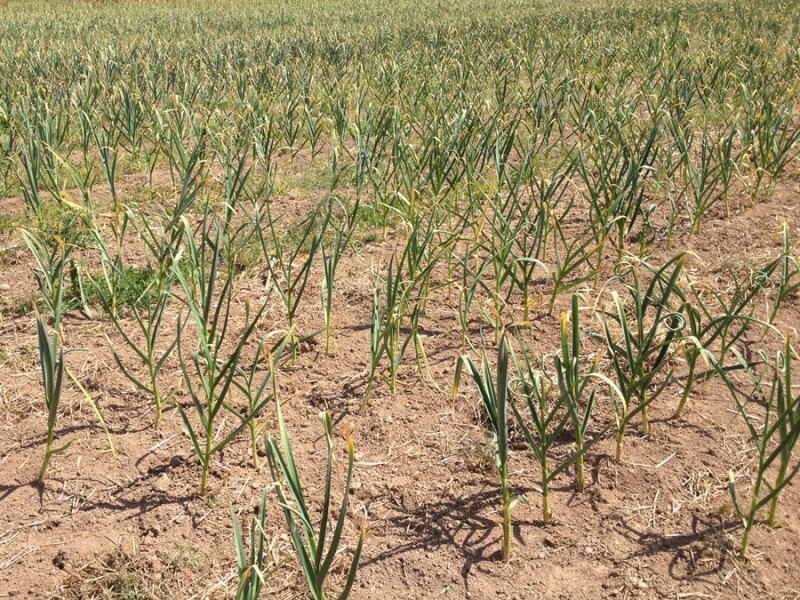 The photos of the garlic fields below were taken at Makaria Farm, mentioned above: http://www.makariafarm.com/vegetable-share-csa/ All the garlic scapes pictured in this post were grown at Makaria Farm as well.